There’s nothing better than curling up with a delicious mug of hot chocolate on a winter night with a good book or movie! This dairy-free hot chocolate is the best hot chocolate I’ve made. 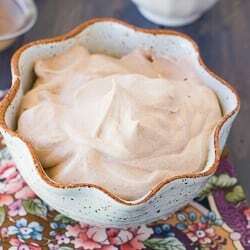 It is also refined-sugar-free and super easy to make. 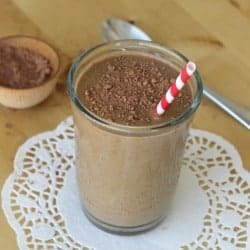 My dairy-eating husband prefers this hot chocolate to any other kind! It is thick, rich, and chocolaty, just like you want from good hot chocolate. And making it really is as simple as opening one of the premixed hot chocolate packets. 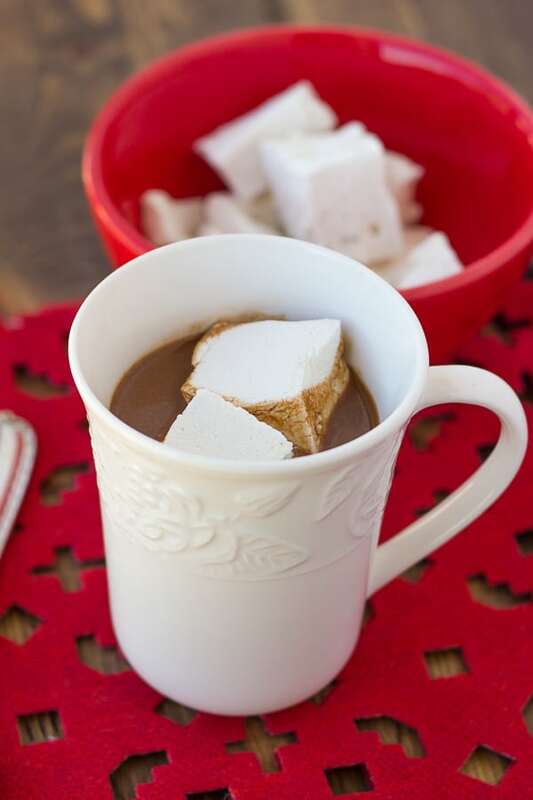 You can also customize this hot chocolate to your tastes. I love adding a little bit of peppermint extract to make peppermint hot chocolate. You can also add more or less honey depending on how sweet you like it to be. Combine all the ingredients in a medium saucepan. Heat over medium-high and whisk until the chocolate chips are melted. Continue to heat until it is as hot as you like. Enjoy! 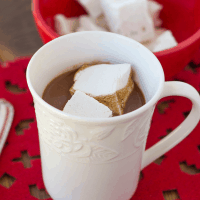 *Add 1/4 teaspoon pure peppermint extract to make this peppermint hot chocolate! Thank you! I’m excited to try this! Could I use cacao nibs in place of the chocolate chips? This is my SAVING grace. 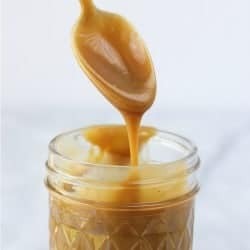 Seriously so delicious and creamy- without dairy! who knew it was possible.